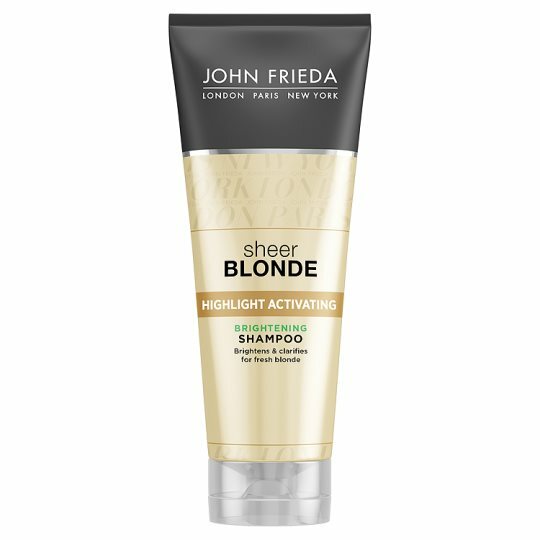 Cleanse and brighten your blonde hair. Formulated with sunflower and white tea, our Brightening Shampoo leaves you with a full spectrum of blonde tones. Directions: Gently massage into wet hair, lather and rinse well. For optimal brightening results, follow with Sheer Blonde Highlight Activating Brightening Conditioner. Non-Colour Depositing Safe for use on natural or colour-treated hair and for use on highlights & lowlights.